Madras HC orders to shut down Subhiksha. 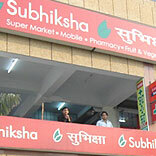 The Madras High Court has ordered to shut down Subhiksha Trading Services. The order came in response to a winding-up petition filed by Kotak Mahindra Bank, to which Subhiksha owes around Rs 40 crore. The court also ordered the official liquidator to take over the assets of the 1997-founded Subhiksha and gave the retail chain three weeks’ time to respond. According to R Subramaniam, founder managing director of city-based Subhiksha, the course of action would be finalised only once the written order is received. Subhiksha had run out of cash in 2008-09 after relying on a high level of debt. Problems arose in 2008, when it started receiving legal notices for outstanding payment. In January 2009, the retail chain was forced to shut down more than 1,600 retail shops after it went into a cash crunch and defaulted to the tune of around Rs 750 crore to 13 banks.